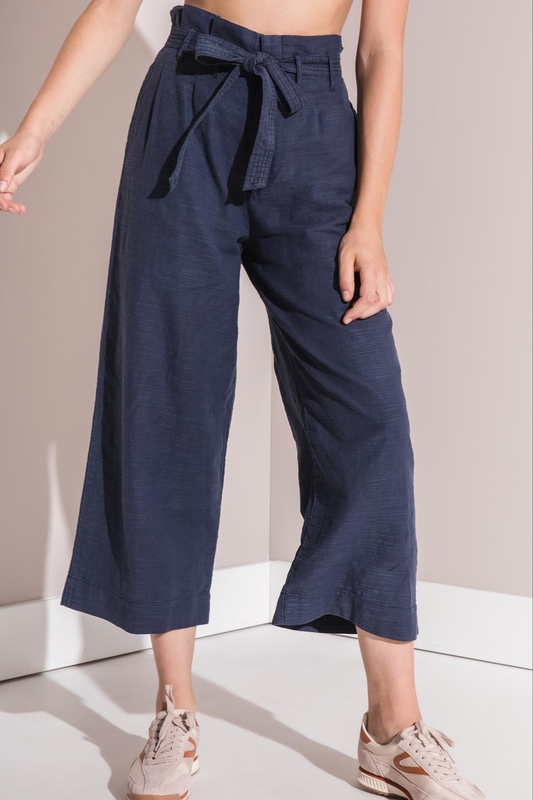 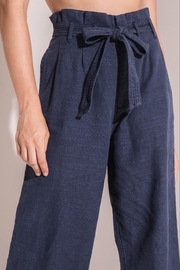 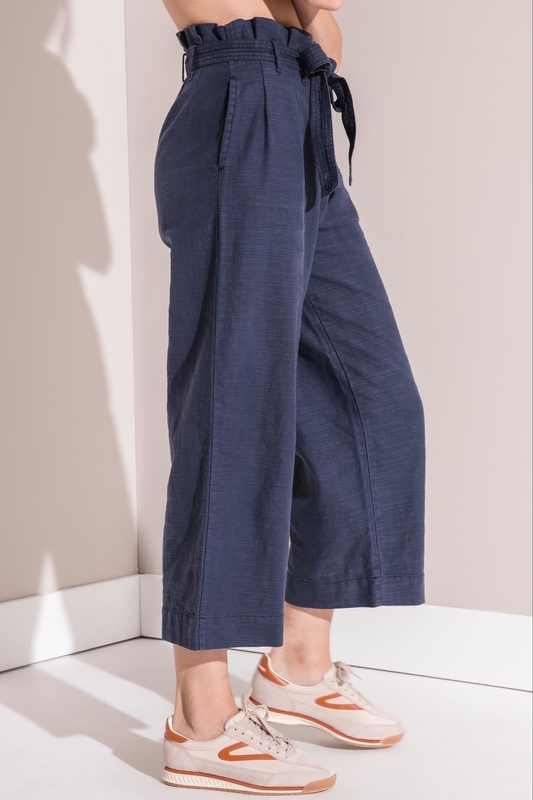 A pair of cotton/linen blend woven paperbag pants featuring a super high-rise, a self-tie belted waist, and on-seam side pockets. 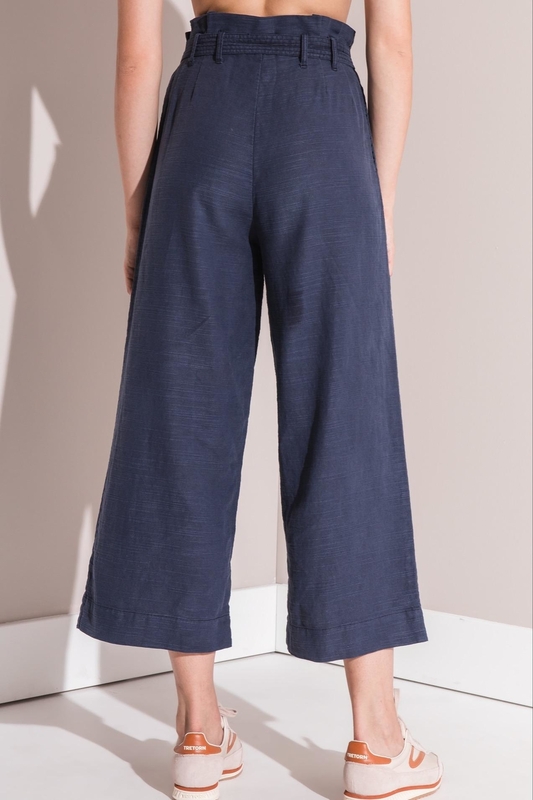 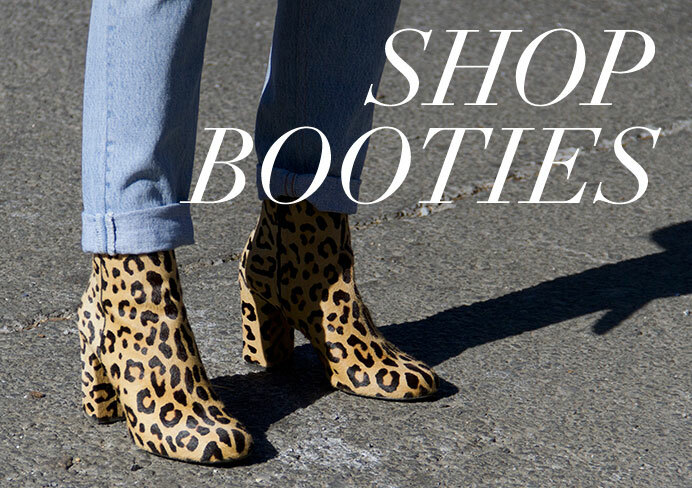 Model is wearing Size 27. 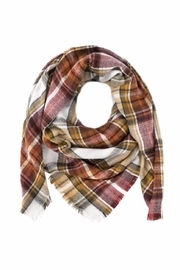 Inseam: 24.5".